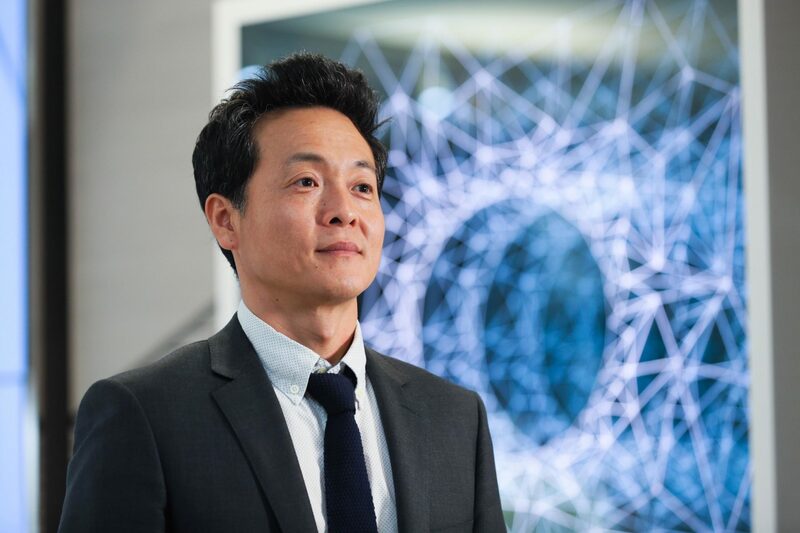 When La Prairie initially approached South Korean Chul-Hyun Ahn to collaborate with the brand for an installation at this year’s Art Basel in Hong Kong, the artist wasn’t too familiar with the Swiss skincare line –but then again, he’s probably not the target customer. “I didn’t know about La Prairie products,”he admits,”so I was searching on the Internet, and it turns out it was quite a global company! 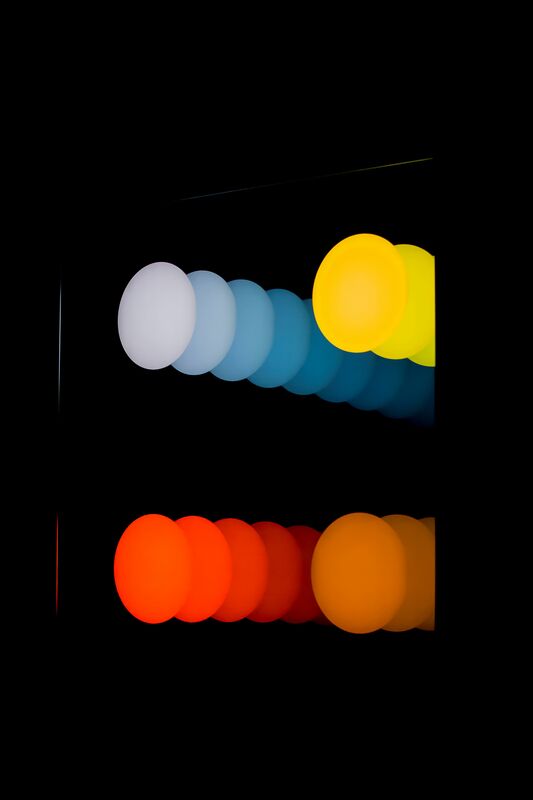 Ahn’s La Prairie exclusive artwork 4 Dots took direct inspiration from the coloured pigments that affect our skin. 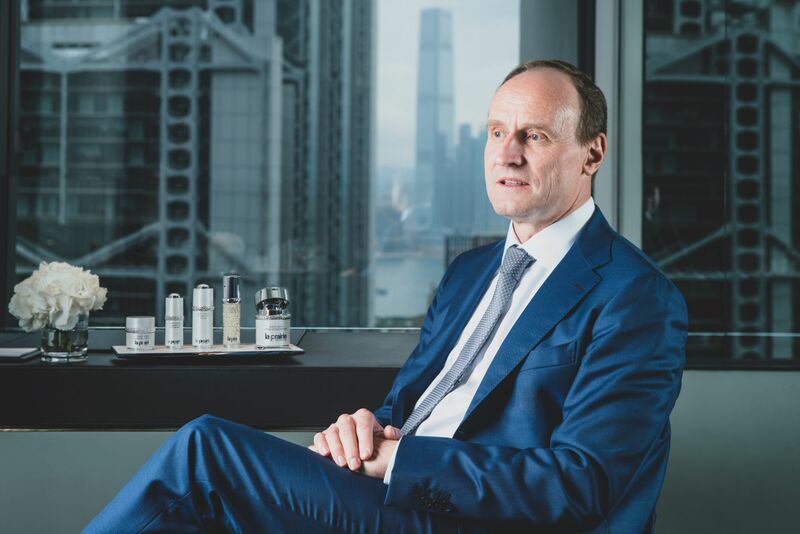 Dr. Daniel Stangl, La Prairie’s director of innovation. In essence, when your skin is pigmented –touched by the brown of UV damage, grey from pollution, red from inflammation and yellow from oxidative stress –it doesn’t reflect light. The solution, then, to bringing forth this light, is to erase the offending colour spectrum. In the White Caviar product line, this is done via key ingredients such as Lumidose. “Lumidose decreases the amount of the pigment melanin, the less pigments you have, the less light is absorbed, the more light is left for being reflected, which is a very simple principle. You also need reflection from the surface, but reducing pigments is a key pillar,”says Dr. Stangl. Ahn, in turn, uses light rather to pose questions that are as timeless as the quest for eternal youth and beauty. “I am using my materials –mirrors and the light –to try to decode my question, my equation, trying to make infinite space and talk about emptiness and physical travelling versus spiritual travelling,”Ahn says. 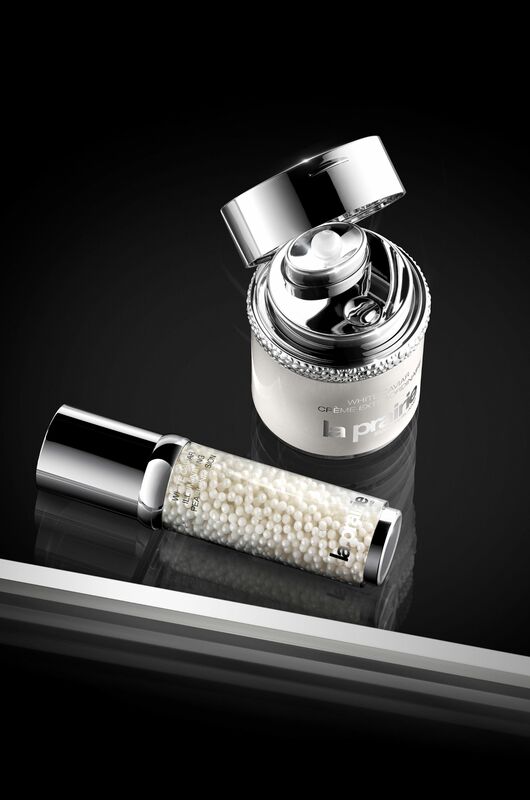 La Prairie’s White Caviar Illuminating Pearl Infusion and White Caviar Crème Extraordinaire decode the equation of light. In many ways, Ahn’s perspective adds another dimension to the relationship that exists between art and beauty. “When people are looking at my art, they’re appreciating it and searching for their own space and perspective to experience art and beauty,”he explains.